10.) 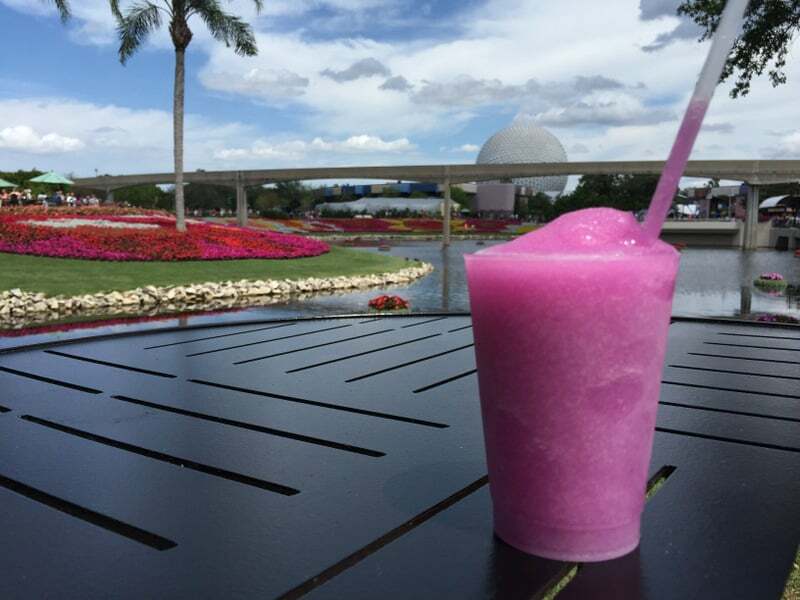 Frozen Desert Violet Lemonade – World Showcase Promenade, EPCOT You can find this delicious (and gorgeous) frozen concoction during EPCOT’s Flower and Garden Festival at the Pineapple Promenade booth, but we think it should be a year-round staple at Disney World. The frozen non-alcoholic drink is a beautiful bright violet color and has hints of lavender and tart lemon, mixed with a whole lot of sweetness. (Yes, we admit, this one is full of sugar – yum!) It’s served with a tiny violet on top. It’s delicious and the color is definitely worthy of an Instagram post!